USS United States is Bought By Crystal Cruises! NEW YORK – The deal announced here on Thursday was the one nobody expected – an attempt to restore the aged, rusting SS United States to a glamorous ocean liner and sail it across the world. Luxury operator Crystal Cruises has signed an option agreement with the ship’s owner, the SS United States Conservancy, that its chief executive said could see the iconic vessel ferrying passengers to faraway ports as early as 2018, thus ending the liner’s two-decade docking in South Philadelphia. The Washington-based conservancy had long sought to make the ship a floating hotel, museum and retail venue, a destination for tourists and ship lovers. But a new vision emerged after the conservancy issued a save-it-or-scrap-it deadline last fall, and a strong response came from Los-Angeles-based Crystal Cruises. “It is our aspiration that the ship returns to the seas as America’s flagship one again,” Crystal CEO Edie Rodriguez told about a hundred people at a news conference here. S.S. United States slated for scrap yard? The project’s cost, if successful, was estimated at more than $700 million. The option agreement runs nine months when the cruise line will conduct a feasibility study, including extensive checks and surveys of the vessel. There’s no certainty of restoration. If any one factor might sink the deal, Rodriguez said, it would be environmental issues. The ship is contaminated with cancer-causing PCBs, often found in old paint and insulation. Also challenging, she said, is making a 1952 liner both mechanically modern and compliant with current safety regulations. The announcement – on a stage flanked by flags and flowers – was made here at an appropriately seafaring setting: Pier 88, on the Hudson River, with the aircraft carrier Intrepid standing just across the way. Conservancy members, ship enthusiasts, and other supporters greeted the news with applause. Crystal Cruises will pay the $60,000-a-month cost of docking and maintaining the ship during the feasibility study – a big benefit to the conservancy, which operates in a constant search for money. The cruise company will pay no additional fees for now. At the end of nine months, if the decision is to go forward, further negotiations over money would take place. The announcement marked the first time a developer has formally, publicly signed on to the project. For years, plans and hopes for the ship have risen and fallen like the tides. Even under favorable circumstances, restoration remains an extremely complicated and costly endeavor, composed of business plans overlaid with historic preservation. The conservancy announced in November that it had raised $600,000 to prevent the vessel from being junked. That money would have bought the group about 10 more months to reach a deal. Its leaders have suggested New York as the best location for the ship. Plans to potentially place the liner in Philadelphia or Chester never materialized. In its day, the S.S. United States was an ocean queen, longer than the Titanic, serving as a trans-Atlantic liner making its way from New York to ports in Europe. It was built in Newport News, Va., with steel from the Lukens company in Coatesville. It was both liner and secret weapon: If needed, the United States could quickly be turned into a troop ship able to transport 15,000 soldiers up to 10,000 miles without refueling. The ship’s 1952 maiden voyage shattered the trans-Atlantic speed record, which it still holds. But in the 1960s, plane travel made liners outmoded. When the United States docked in Newport News for an annual overhaul in 1969, it was taken from service. The ship was moved to Norfolk, sold, resold, put up for auction, towed to Turkey and to Ukraine, and finally to South Philadelphia in 1996. Its furniture and interior were long since stripped. It seemed destined for scrap when its owner, Norwegian Cruise Line, offered it for sale in 2009. The conservancy was offered the first chance to buy but lacked the money. The next year, Philadelphia philanthropist H.F. “Gerry” Lenfest, until recently the owner of The Inquirer, said he would donate up to $5.8 million. Today it floats at Pier 82, looming over Ikea and the big-box stores in the shopping center across the boulevard. It was unclear where remediation and renovation of the ship would occur, if undertaken. Eventually the ship would likely have New York as its home port, conservancy officials said. Crystal Cruises takes customers to places all over the world. Rodriguez said the SS United States, if restored, would display the glamour it exhibited at the height of its run. MSC Cruises has signed a lease with the Bahamian prime minister Perry Christie to develop a private island for the cruise line. The project will be developed in the next two years and will be called Ocean Cay MSC Marine Reserve. The cruise line will work closely with the Bahamian government and ecologists to develop the cay into a thriving marine reserve that will coexist flawlessly with the ecosystem. The island will offer some of the best beaches in the world, and a variety of Caribbean-inspired experiences. MSC will invest about $200 million into creating a lush, natural haven from the desert island it currently is. At 95 acres in size with 11,400 feet of beach front across six beaches, Ocean Cay MSC Marine Reserve will be the biggest island development by any cruise company in the Caribbean. It will feature a berth and pier, meaning that guests will not have to tender; they’ll be able to walk right off the ship onto the island. All shipboard operations, including the casino, will stay open while docked there. The cruise line has an extensive landscaping plan for the island, and will be bringing more than 80 indigenous plants, such as Beach Morning Glory and Jamaica Dogwood, to be planted across the island. There will be an architecturally accurate Bahamian village, full of shops, restaurants, and bars, all surrounding an island-themed music gazebo. Ocean Cay MSC Marine Reserve will also feature a family beach with a kids’ restaurant, a inland lagoon, a zip line crossing the island, and a pavilion for weddings and other celebrations. For MSC Yacht Club guests, there will be an exclusive wellness sanctuary and spa with private bungalows and massage huts on the northwest corner of the island. MSC plans to break ground in March 2016 and the island will open to guests in December 2017. Guests aboard the upcoming ship MSC Seaside‘s maiden voyage will be the first to visit the cruise line’s island. Island rendering and photo courtesy of MSC Cruises. Effective for cruises embarking on or after September 30, 2015, each Guest 21 years and older may bring two bottles of unopened wine or champagne (no larger than 750ml) or six beers (no larger than 12oz) onboard in carry-on luggage at the beginning of the voyage and at each port-of-call. All wine/champagne and beer brought onboard must be packed in the Guest’s carry-on luggage. Any alcohol packed in checked luggage will be removed and stored until the completion of the cruise. Guests are not allowed to bring liquors or spirits (including powdered alcohol) onboard. 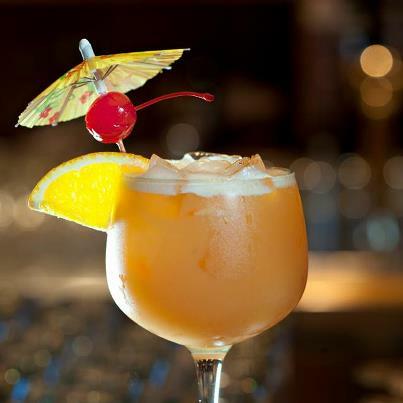 Almost all of the other cruise lines have similar policies in place now about bring alcohol on board, but these days you are able to purchase beverage packages to include unlimited beverages. Some cruise lines are currently offering pricing packages that includes unlimited beverages, gratuities, on board credit, and unlimited wi-fi. CELEBRITY CRUISES ENHANCES CARIBBEAN ITINERARIES TO OFFER GUESTS EVEN MORE OVERNIGHTS MIAMI, FL – Celebrity Cruises is offering guests an unmatched experience by introducing additional overnight stays on more than 40 Caribbean sailings for January 2016 and beyond, more than any other cruise line. The popularity of Celebrity’s current overnight program has led to 43 newly enhanced itineraries, giving guests the chance to enjoy exciting evenings in destinations such as Cartagena, Colombia; Philipsburg, St. Maarten; Cozumel, Mexico; Aruba; Curacao and Barbados. “Guests and travel agents love our overnight program in Europe, Asia and around the world, and their feedback has been amazing. This demand led us to revisit our current Caribbean itineraries and add even more overnights in one of the most beautiful places we sail to each year,” said Lisa Lutoff-Perlo, President and CEO, Celebrity Cruises. “With more overnights in the Caribbean than any other cruise line, we are offering our guests an incredible, unrivaled experience. They can enjoy the destination like a local before returning to our stylish, modern luxury ships.” For more information about Celebrity’s newly enhanced Caribbean season, visit celebritycruises.com/ caribbeanovernights. About Celebrity Cruises: Celebrity Cruises’ iconic “X” is the mark of modern luxury, with its cool, contemporary design and warm spaces; dining experiences where the design of the venues is as important as the cuisine; and the amazing service that only Celebrity can provide, all created to provide an unmatchable experience for vacationers’ precious time. Celebrity Cruises’ 10 ships offer modern luxury vacations visiting all seven continents. Celebrity also presents immersive cruise tour experiences in Alaska and Canada. Celebrity is one of six cruise brands operated by global cruise vacation company Royal Caribbean Cruises Ltd. (NYSE, OSE: RCL). 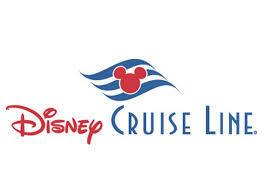 For more information, dial 1-866-202-6343, visit http://www.TheCruiseXperts.com. Royal Caribbean International won’t retire Majesty of the Seas from its fleet in 2016 after all. Instead, the cruise line plans to upgrade its oldest ship with new entertainment and dining options and move it from Miami to Port Canaveral for three- and four-night cruises to the Bahamas. Starting in May, passengers sailing on the revamped 2,767-passenger cruise ship also will get free and unlimited access to its high-speed Internet service Voom, Royal Caribbean said. Voom is already available to passengers sailing on Royal Caribbean’s Oasis-class and Quantum-class ships at a cost of $15 daily per device, but it will be offered free for the first time to cruisers aboard Majesty of the Seas next summer. Other new features to be added include multiple waterslides, an enhanced casino, new Izumi Japanese and Sabor Taqueria Mexican eateries and the Chef’s Table, an exclusive restaurant hosted by the ship’s executive chef and Sommelier. Entertainment additions will include Jacuzzis, a poolside movie screen and the Dreamworks Experience, which offers activities and entertainment with Shrek, Fiona and other characters from the animation studio’s popular movies. “We are stepping up our game,” said Michael Bayley, president and CEO of Royal Caribbean International. 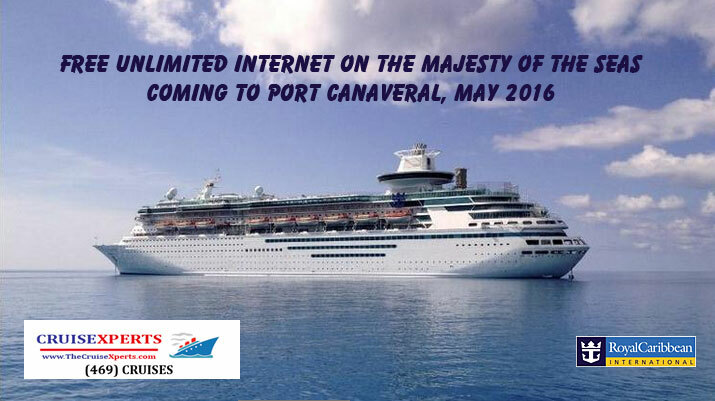 Consumers can now book cruises for the ship’s inaugural Port Canaveral season, which will begin May 27, 2016. Last November, Royal Caribbean announced that it would transfer Majesty of the Seas to Spanish cruise line Pullmantur Cruises, which is owned by its parent company Royal Caribbean Cruises Ltd. The ship is the last of Royal Caribbean’s Sovereign-class vehicles. Two others — Sovereign of the Seas and Monarch of the Seas — were previously transferred to Pullmantur. The 74,077-ton Majesty of the Seas sailed its maiden voyage April 26, 1992, and was built at Chantiers de L’Atlantique (now STX France) in St. Nazaire, Royal Caribbean said. Enchantment of the Seas will replace Majesty of the Seas at PortMiami and will sail on short Caribbean itineraries, a Royal Caribbean spokeswoman said Thursday. Carnival Cruis e Line will build upon its leadership position in Port Canaveral, Fla., expanding capacity on three- and four-day Bahamas cruises by 34 percent and deploying its newest class of ship on seven-day Caribbean voyages in 2016. Carnival will enhance its short Bahamas cruise program from Port Canaveral with Carnival Victory replacing Carnival Sensation on this popular route in February 2016. The move not only increases capacity on the three- and four-day cruises but also provides guests with a greater variety of on-board features and amenities, including more than 500 balcony staterooms aboard Carnival Victory. Additionally, Carnival Magic will reposition to Port Canaveral in December 2016 to offer two different seven-day Caribbean itineraries, providing consumers with exciting new week-long cruise vacation choices from Central Florida. Carnival Magic is part of the line’s newest class of ship and offers such features as a WaterWorks aqua park, Cucina del Capitano family-style Italian restaurant and SportSquare outdoor recreation area. In turn, Carnival Sensation, which boasts WaterWorks, Serenity adults-only retreat and numerous other features, will shift to Miami in February 2016 to operate the line’s attractive and convenient year-round four- and five-day cruise schedule. “We are significantly ‘upping our game’ in Port Canaveral with the addition of these great new ships to the important and growing Central Florida market,” said Christine Duffy, Carnival’s president. “When these ships join the spectacular Carnival Sunshine, this dynamic trio of ‘Fun Ships’ will offer our guests and valued travel agent partners the widest array of attractive and convenient cruising options from the Space Coast,” she added. Carnival Victory, currently based in Miami, will reposition to Port Canaveral to launch a schedule of three- and four-day cruises beginning Feb. 25, 2016, dramatically expanding the line’s capacity on this program. On this route, three-day cruises depart Thursdays and visit Nassau, while four-day cruises depart Sundays and call at both Nassau and Freeport. In addition to providing a newer, larger ship on short cruises from Central Florida, Carnival Victory boasts a variety of on-board features, including a 14,500-square-foot spa, four swimming pools – one with a 214-foot-long water slide – along with 18 lounges and bars whose stunning interiors are inspired by the world’s most famous bodies of water. During their time in the Bahamas, guests can relax on gorgeous white-sand beaches, enjoy numerous shopping, dining and sightseeing opportunities and partake in a wide range of watersports, from snorkeling and scuba diving to kayaking, parasailing and deep-sea fishing. In October 2016, Carnival Valor — currently based in Port Canaveral and scheduled to undergo an extensive dry dock in March 2016 that will add a variety of Fun Ship 2.0 innovations — will take over Carnival Victory’s three- and four-day Bahamas cruises from Central Florida on a year-round basis. Carnival Valor will be the only ship operating three- and four-day cruises to offer the line’s highly acclaimed Fun Ship 2.0 features. Carnival Victory will subsequently move to another homeport. Carnival Magic will kick off its Port Canaveral-based program with a special eight-day cruise departing Dec. 9, 2016, and featuring St. Thomas, San Juan, Amber Cove (Dominican Republic), and Grand Turk. The ship will then launch year-round seven-day cruises from Port Canaveral Dec. 17, 2016, offering two distinctly different week-long itineraries – a western Caribbean route featuring Cozumel, Belize, Mahogany Bay (Isla Roatan) and Costa Maya; and an eastern Caribbean option calling at St. Thomas, San Juan, Grand Turk and Nassau or Amber Cove. Carnival Magic features a wide variety of Fun Ship 2.0 innovations, including a massive WaterWorks aqua park featuring a 312-foot-long Twister water slide, the DrainPipe funnel-style water slide and a 300-gallon PowerDrencher tipping bucket, along with an expansive SportSquare outdoor recreation area highlighted by a suspended ropes course with breathtaking views to the sea 150 feet below, and a Caribbean-inspired watering hole called RedFrog Pub. Carnival Magic will join Carnival Sunshine which offers seasonal five- to eight-day Caribbean voyages from Port Canaveral and is the only ship in the Carnival fleet to offer all of the line’s Fun Ship 2.0 innovations, along with unique features like the Speedway Splash water attraction, Ji Ji Asian Kitchen and the Latin-infused Havana Bar. In preparation for its Space Coast debut, Carnival Magic will offer a special 12-day Carnival Journeys cruise departing Galveston Nov. 27 and arriving in Port Canaveral on Dec. 9, 2016. Featured ports will include Cozumel; Limon, Costa Rica; Colon, Panama; Cartagena and Santa Marta, Colombia; Aruba, and Grand Turk. Carnival Journeys is a unique collection of nine- to 15-day voyages featuring exotic, less visited ports in the Caribbean, Mexico, Central America and Hawaii and offering a number of exclusive on-board experiences and activities. Carnival Sensation will reposition from Port Canaveral to Miami to offer year-round four- and five-day cruises featuring top ports in the Caribbean, Mexico, The Bahamas, and Florida beginning Feb. 25, 2016. On Carnival Sensation’s new Miami-based schedule, four-day cruises depart Thursdays visiting Key West and Cozumel or the private Bahamian island of Half Moon Cay, and Nassau, while five-day cruises depart Mondays and Saturdays featuring some of the top ports throughout the Caribbean and Bahamas, including Grand Turk, Ocho Rios, Grand Cayman, Amber Cove, Freeport, Nassau and Half Moon Cay. These new itineraries from Port Canaveral and Miami are currently open for reservations.